Entekra, the Irish homebuilder, will create 500 jobs in the United States over two years after signing a deal to build one of the most advanced off-site construction facilities in the world. The company, which created 100 jobs at its Monaghan HQ earlier this year after a $45m investment from the Louisiana-Pacific Corporation, has also secured a $4.75m tax credit from the State of California to build a fully integrated offsite solutions (FIOSS) factory in Modesto, California. The fully automated, high-speed facility will be operational by May 2019, employ 250 people and deliver 3,000 homes a year. "We will also be opening a second factory in Southern California in 2020, which will employ a further 250 staff," said Entekra COO Bran Keogh. 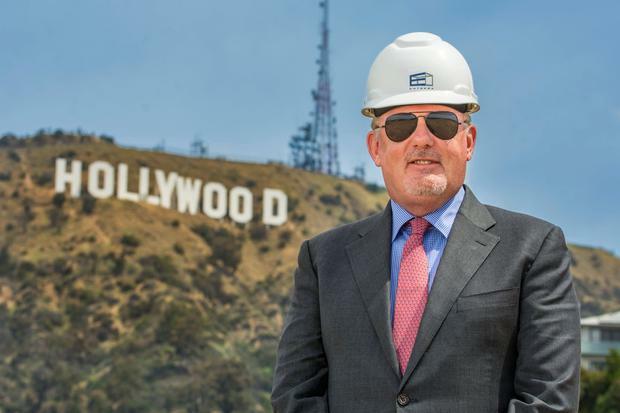 Described last May as "a company set to disrupt the US construction industry" by Bank of America Merrill Lynch, Entekra was set up three years ago by Century Homes' founder Gerry McCaughey. Entekra signed the Modesto deal this week after attending the SelectUSA Investment Summit, America's signature foreign direct investment event in Washington DC. Keogh said Entekra secured the deal with the "invaluable" support of the US Embassy of Ireland's SelectUSA office, one of only 12 such offices worldwide. It was one of 20 Irish companies to attend the summit, including CRH, FEXCO, Glanbia and Maas Aviation, the Irish aircraft-painting specialist set to imminently announce more jobs at its Mobile, Alabama, facility to support the expansion of Airbus and Bombardier aircraft. "It was an honour for me to lead the Irish delegation, the fourth largest in Europe, to this year's SelectUSA Summit," said Reece Smyth, Chargé d'Affaires of the US Embassy in Ireland. "These 20 dynamic companies are demonstrating the strength of the two-way street and why the United States is such a natural fit for Irish companies to grow and prosper." The value of the two-way US-Ireland trading relationship now stands at almost $600bn, with American companies employing more than 155,000 in Ireland and more than 100,000 employed by Irish companies in the United States. Leading figures from the US administration who attended the 2018 summit included Secretary of Commerce Wilbur Ross, the one-time Bank of Ireland investor.